Experienced guides and genealogists can help you with your research, and it’s available to you free of charge! Research Consultants and volunteers can help you by suggesting sources for you to search, answering basic questions such as how to get started, where a town is located, and what records are available for a locality and how to use them. Family History Library CatalogSearch the catalog of materials (including microfilm, microfiche, and publications) found at the Family History Library in Salt Lake City, Utah. Many items can be loaned to local family history centers around the world. 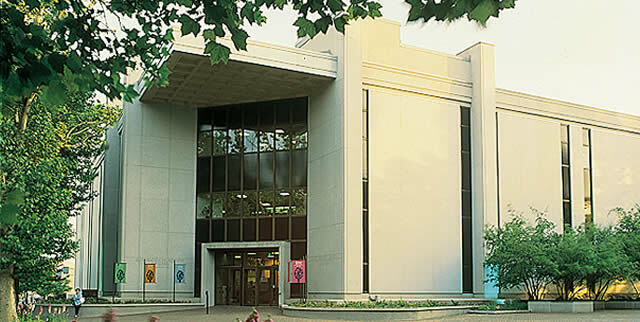 The collection includes over 2.4 million rolls of microfilmed genealogical records; 727,000 microfiche; 356,000 books, serials, and other formats; over 4,500 periodicals and 3,725 electronic resources. Records available are from the United States, Canada, the British Isles, Europe, Latin America, Asia, and Africa. A majority of the records contain information about persons who lived before 1930. Approximately 200 cameras are currently digitizing records in over 45 countries. Records have been filmed in over 110 countries, territories, and possessions. Planning Your Visit We have assembled a list of tips that can help you get the maximum value from your visit to the Family History Library. If you plan to visit the FamilySearch Library with a group, we offer free library tours and group orientations. Sign your group up today. A short 10-minute orientation is available anytime the library is open. Class Schedule The library regularly holds workshops on the use of the library, its computer systems, family history records, and resources. Specialized workshops teach patrons about methods of research and how to use various kinds of records, and computer classes educate patrons about the library’s unique software programs. Gifts and donations of family genealogies, organized collections, and other records that contain genealogical information are welcome. You can even write a history of your family and place a copy in the library. HoursMon: 8:00 A.M. to 5:00 P.M.
You should do the following things before you come. Volunteers at a family history center near you can help you with these steps. Gather together information you have about your family. Talk to other family members and get copies of their information. Use a genealogy program like Personal Ancestral File to record information about your ancestors. Organize historical records (like birth certificates, marriage licenses, etc.) of your family by family group (such as a husband and wife and their children) or surname to make it easy for you to find the records. See what other people have already discovered about your family by searching for your ancestors in collections of precompiled genealogies like Ancestral File or Pedigree Resource File on our website. It is easier to find information about people that lived more recently. It is easier to work backward through time. For example, find death, then marriage, and then birth information. Verify what you know, and then use it to look for what you don’t know. Identify the places where your ancestors lived or may have lived. Then search the Family History Library Catalog to see what records are available for that place. Make a list of the records that are likely to contain the answers to your questions. Be sure to include call numbers or film and item numbers. An easy way to do this is to print out the listings from the Family History Library Catalog. If you know in advance what microfilms you'll need at the library, you can order them before your visit. Library staff will retreive them so that they will be ready for you when you arrive. Films listed in the Catalog as "Vault" films may take up to three days to retrieve.